For the past few years, a cordless vacuum cleaner has been high on Steve's wish list. 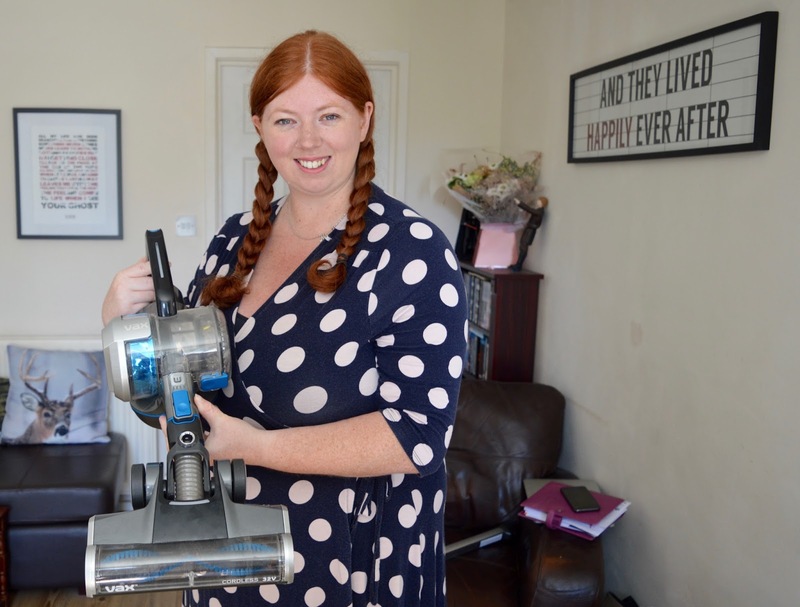 I've always been put off though as we already owned a perfectly adequate vacuum cleaner and in my head, I just didn't believe that they'd be powerful enough to cope with the daily mess our family of 5 (plus two Guinea Pigs) creates. 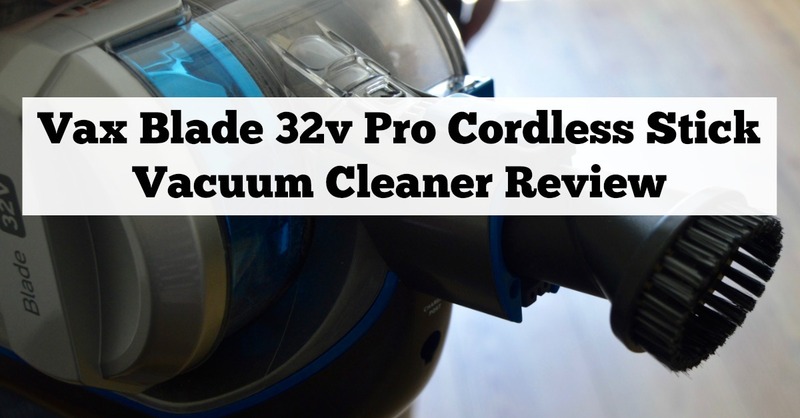 The lovely folk at Vax recently sent us the Vax Blade 32v Pro Cordless Vacuum Cleaner to review and Steve was over the moon. Me, I was still sceptical. This Vacuum Cleaner is super easy to charge. You simply detach the main body of the cleaner from the handle and plug in. There is a wall mount you can use too (although we have chosen not to). Our charger just stays on our landing and after every use I plug it in. Simple! There is a clear indicator on the vacuum which shows how much battery you have left too. Our house has 3 bedrooms plus a conservatory and I normally use the vacuum on 'boost' mode. In the whole month I've been using this vacuum, I have never ran out of charge. I normally use the vacuum with the long pole attached. This is perfect for vacuuming my laminate flooring in our living room, the lino in our kitchen, our bedroom carpets and hard floor in our conservatory along with the large rugs we have in some of these rooms too. I prefer to use the 'boost' mode as a normal setting as it's a lot more powerful. This mode reduces your vacuuming time down to 22 minutes per charge but this has always been long enough for me. 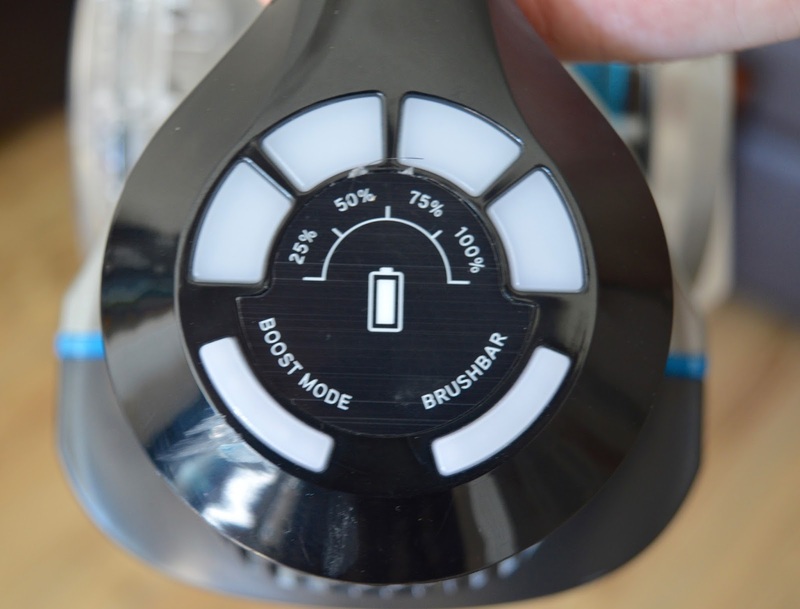 There are 2 modes - regular and with the brush bar switched on. I prefer to use it with the brushbar turned on as it seems to pick up quite a bit. 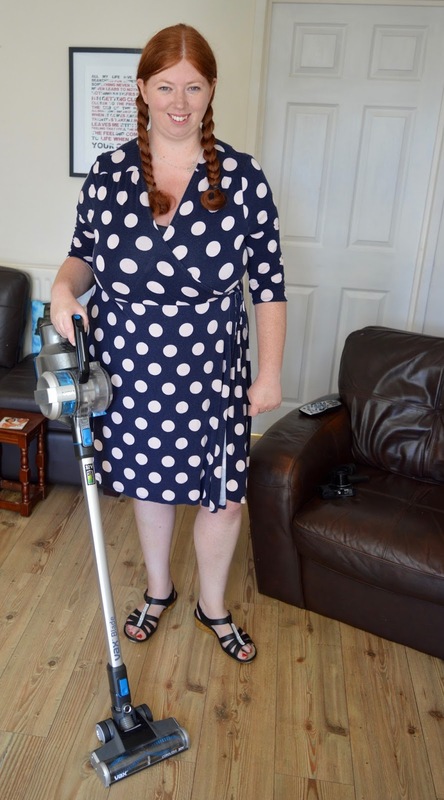 For my stairs, nooks and crannies and sofa, I prefer to use the vacuum cleaner without the longer pole. A crevice nozzle and duster brush are included and they simply clip on. Using the vacuum this way is just SO easy and it's super easy to switch between the two modes. The long pole simply unclips. I can't tell you how much quicker it is vacuuming the stairs with a smaller vacuum like this. It is super lightweight and there's no wire to consider. I would go as far as to say it is life changing! As there's no wire attached, you can also take your vacuum outside and use it to clean your car. I'll be the first to admit that I am pretty lazy when it comes to cleaning. Some of my friend's empty their vacuum cleaner after every use which I used to find pretty OTT if I'm honest. I used to wait until my vacuum's cylinder was jam packed before thinking about emptying it. With the Vaz Blade, you pretty much need to empty it after every use as the cylinder is so small compared to what I am used to. But do you know what, that's ok. It is the easiest thing ever to empty. One click to open over the bin and that's it done. It hardly takes any time at all. This Vacuum Cleaner is definitely powerful enough and has enough running time per charge for normal daily use. 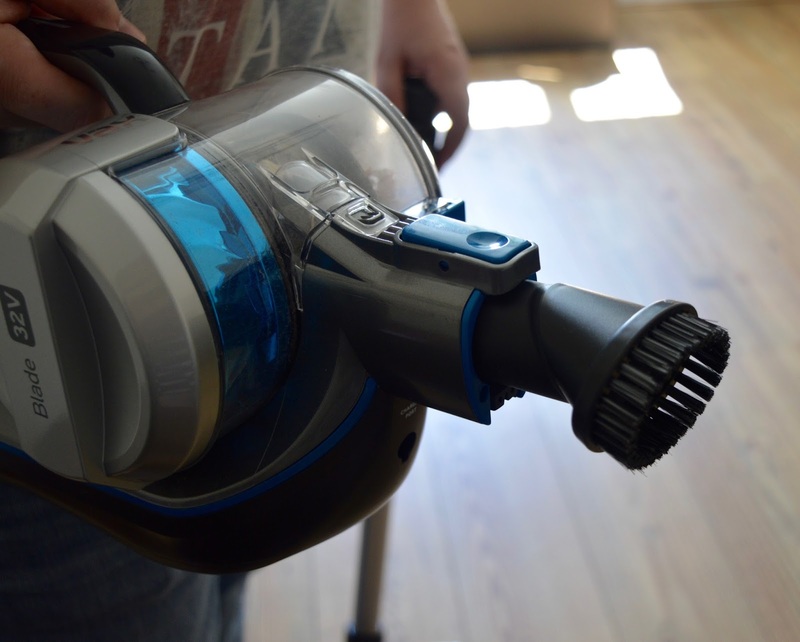 It's the most versatile and lightweight vacuum I've used. 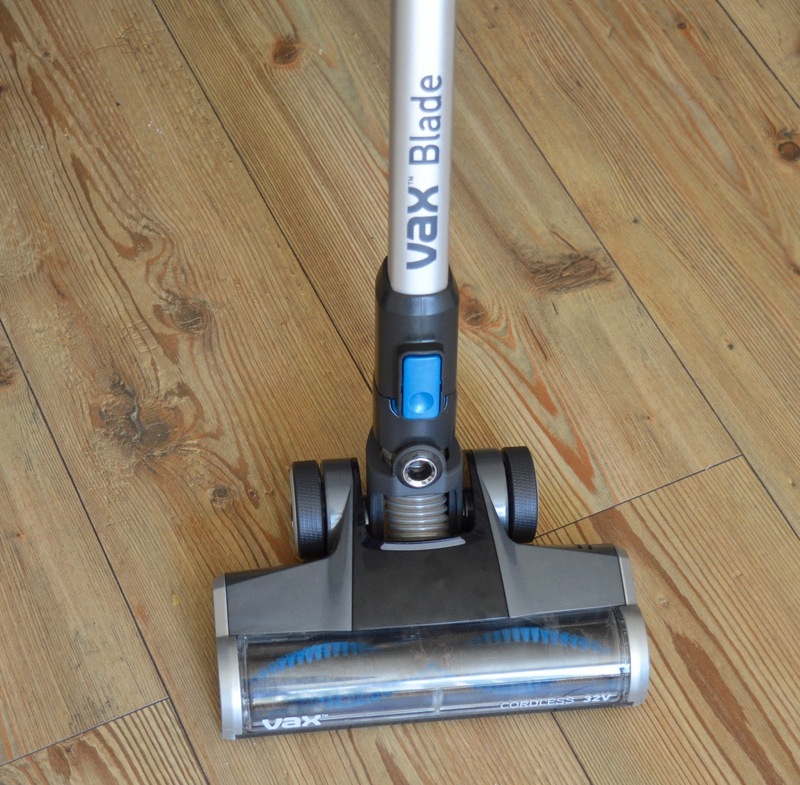 You can find out more about the Vax Blade Cordless Stick Vacuum here. Just bought this as the better half has been nagging me for a while.